August 10, 2012 (San Diego)--Detectives from the San Diego Police Department’s Robbery Unit have arrested a man suspected of being the mastermind of a criminal enterprise that included a series of strong arm robberies throughout the county. Cedric Johnson, 33, was arrested on August 7 in Los Angeles at his parole agent’s office. The La Mesa Police Department, in partnership with the Federal Bureau of Investigation, is hosting a training class for all commercial businesses. It is the goal of the La Mesa Police Department to provide training on the proper safety procedures to follow before, during, and after a robbery. 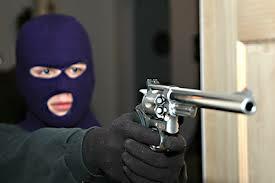 Robbery prevention will also be discussed.